Le Mayeur Museum is a hidden treasure located right on the main Sanur Beach of Sindhum behind the array of art and souvenir stalls. 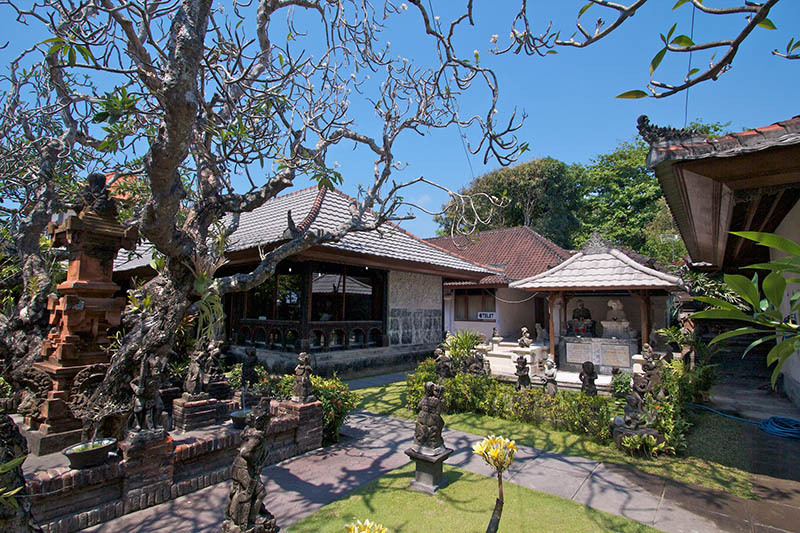 This memorial museum mainly houses the artworks and personal history of painter Adrien-Jean Le Mayeur de Merpres, a Brussels-born artist who was impressed by Bali and the shores of Sanur, where he dedicated his entire life to the two things he loved the most: its arts and its women. He fell in love with a Legong dancer, Ni Pollok, who he later married and became his muse, extensively featured in his oil paintings. The house consists of five rooms with the main building housing the couple’s former living quarters, profuse with classical Balinese elements, sculpted stone walls and red terrazzo floor tiles. For those interested in Bali’s history, Blanjong Temple, or Pura Blanjong, in the namesake sub-village area within the Intaran village on Sanur’s south, houses one of Bali’s oldest known artefacts in the form of a stone pillar with Sanskrit inscriptions. This stone pillar was believed to be some sort of victory monument, chiefly of King Sri Kesari Warmadewa, who on a conquest visited Bali in the 10th century and installed what was probably Bali's first formal government. In addition to the inscribed pillar, other relics at the Blanjong site include sandstone statues, such as the Hindu lord Ganesh and several animal figures. 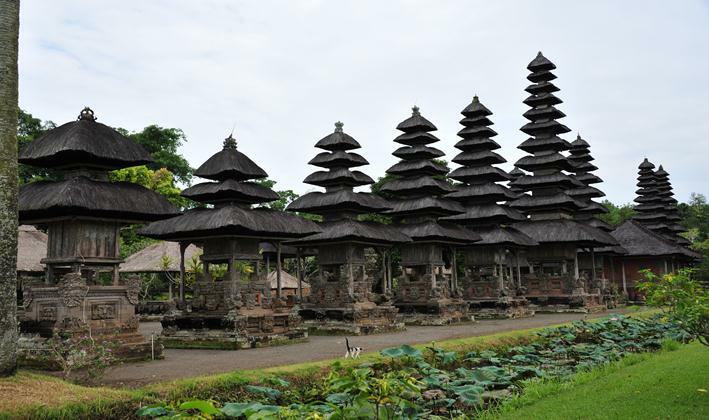 The temple is now considered a national cultural heritage site and welcomes public visitors down an alley just off Sanur’s Jalan Danau Poso. SHOW MAP 6 Turtle Conservation and Education Centre (TCEC) Sea turtles, once a traditional commodity among the Balinese in the distant past, have turned to become a protected species, with major conservation efforts propping up around Bali. The Turtle Conservation and Education Centre (TCEC) that was set up on Serangan Island, is one of them. The TCEC serves as a hatchery, nursery and sanctuary for turtles accidentally caught by fishermen. The centre is open for the public and offers an educational day out, ideal for the whole family. A large variety of well shaded and open-air pools separate the turtles according size, with supervising staff ready to provide information and brief tours if they aren’t busy cleaning and maintaining the pools or feeding the turtles. There is also a small sandy enclosure for tortoises, a hatchling pen and a small souvenir shop selling everything cute, colourful and turtle-related. 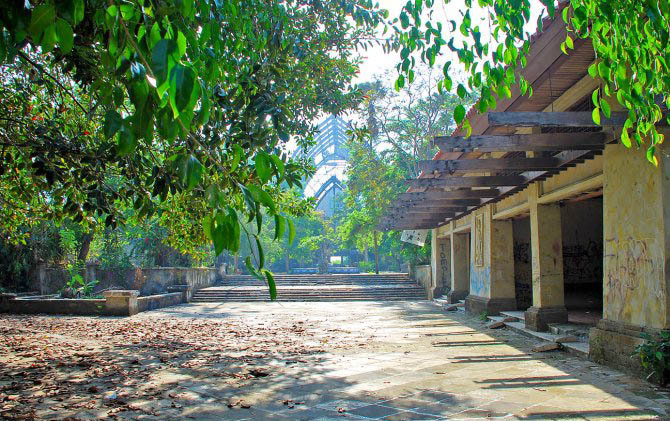 Taman Festival Bali "ghost town"
The quirkiest place on this list is an abandoned theme park, the Taman Festival Bali, which saw only a slight of its heyday in 1997, but ultimately closed down three years later due to marketing and financial problems. Now considered a ghost town, literally by some of the locals who believe that long abandoned places are eventually inhabited by spirits of the ‘unseen world’, it is a favourite photo location for photographers looking for a desolate, post apocalyptic-like setting. This is due to the still erect but deteriorated structures of its main buildings with partly collapsed roofs, and ticket booths, a theatre and dining outlets covered in dust, moss and creeper vines. Large statues and ornamental figures around the courtyards and throughout its open spaces, which now stand under dense foliage, create an eerie sight even in broad daylight. Extra caution must be taken around the crumbling buildings.